Certhia rectirostris Shaw, 1811-12, Ashanti, Ghana. Two subspecies. English: Yellow-chinned sunbird, gray-chinned sunbird, banded sunbird, banded green sunbird; French: Souimanga á bec droit; German: Goldband-Nektarvogel; Spanish: Nectarina Verde. 3.54-3.94 in (9-10 cm); 0.25-0.42 oz (7-12 g). Tiny, short-billed bird with lime-green head to back and darker wings. Yellow throat, orange band across chest, and light underparts. 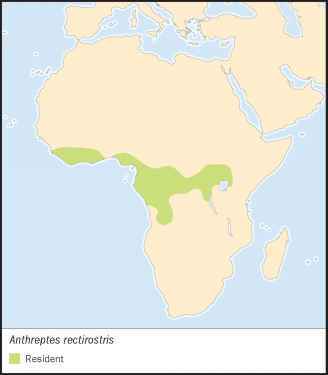 A. r. rectirostris: Sierra Leone to Ghana; A. r. tephrolaema: southern Nigeria to Democratic Republic of Congo, southern Sudan, and western Kenya. Upper stories of primary and secondary forest, gallery forest, forest plantations, and mountains. 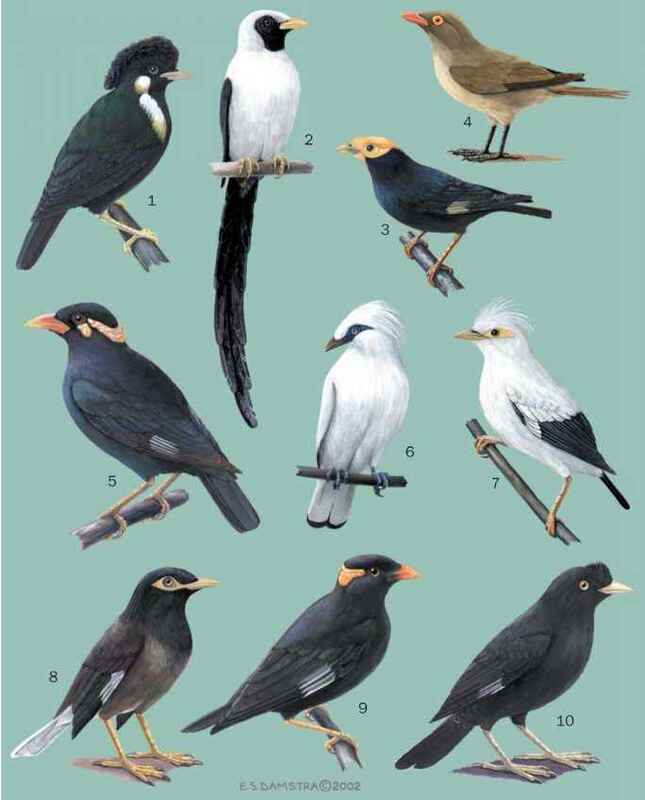 Occurs singly or in family groups of up to seven birds, usually more than 66 ft (20 m) up trees. Joins mixed-species flocks. Searches for insects on or below leaves, and along tree trunks and branches like a warbler. Sometimes catches flying insects like a flycatcher. Males are territorial, singing from high perches. Species may be cooperative breeder as more than two adults feed young, but only female incubates. Two ovate eggs, gray with violet or gray-green markings, laid in nest suspended low from vine or 131 ft (40 m) up in a tree. Nest globular, made of fibers, lichens, or moss and lined with vegetable silk.